Wooho, this is my first post about Korean drama review ever. Maybe it isn’t like the other drama review you can find in another website, it just a writing that show my affection towards the drama. Let’s start! So, this is the latest drama that I am following nowadays. The title is “Angel Eyes” or in Hangul “엔젤 아이즈” (literally the Korean way to pronounce the title in English). It airs every Saturday and Sunday at 10.00 PM (Korean time) on SBS from April 5, 2014 and it’s expected to end in 20 episodes (but I expect they’ll extends the episode, hope so). The drama is staring by Lee Sang Yoon as Park Dong Joo and Gu Hye Sun as Yoon Soo Wan. The first time I knew about this drama was from Running Man-variety show on SBS-episode 190 that was aired on March 23, 2014. As one of the most popular variety show in Korea, Running Man has been the place for SBS promoting its new drama. Previously on episode 166, the cast of The Heirs-the latest drama of Lee Min Ho-also became the guest. Back to the topic, after watch the show, I became interested and patiently waited for the drama. Since the first episode I was already excited and curious with the story line. They meet each other in an unexpected way. Each character bounds in fate which covers the painful truth. And I love this kind of complex relation story. It makes me curious and anxious in the same time wondering what will happen if they know the uncover truth are. The drama starts with telling the old day story, how the two main characters-Dong Joo and Soo Wan-met. So on the first two episodes, you won’t see Lee Sang Yoon and Gu Hye Sun’s faces. The young characters are being played by Kang Ha Neul as young Dong Joo and Nam Ji Hyun as young Soo Wan. 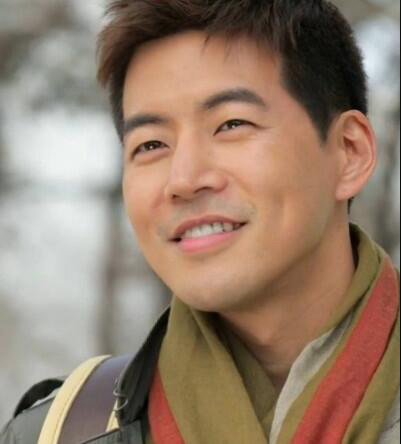 And the reason I become more interested and fall in love with the drama is, when I see Lee Sang Yoon’s smile and I just can’t get my eyes off him. Omg, his smile is so charming and too addictive for me. Just look at him below! Well, that’s not the best smile of him, but the best so far I can get from the drama caption. You must watch the drama by yourself and know why I adore his smile so much. No doubt he got a nickname as omchina, which means a mother’s ideal son (or potential son-in-law). Not just his handsome face and beautiful smile that he got that title, he is also smart, proved by a degree in physics he got from Seoul National University-one of the top national university in South Korea. He is such a heartthrob. That’s why he becomes my ideal type from now on (sorry Joo Won, I can’t resist his charisma and must leaving you :p). Termine de verla y encanto de principio a fin. Excelentes actores.